Supports Diabetics & manages sugar levels. Pack size and strength: 60 vegetarian capsules (Strength: 250mg). Jambu Bij (Eugenia Jambolana) possesses antibacterial properties and is used to strengthen the teeth and gums. It is also useful in cases of diabetes by helping to lower blood sugar levels. 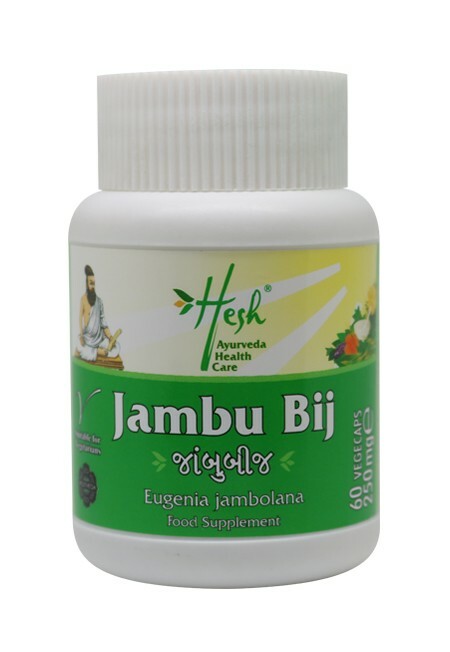 Jambu Bij (Eugenia Jambolana) possesses antibacterial properties and is used to strengthen the teeth and gums. It is also useful in cases of diabetes by helping to lower blood sugar levels. 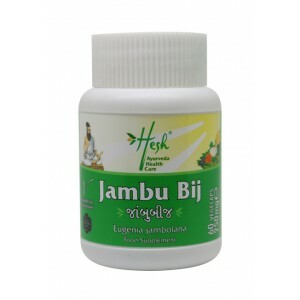 Diabetics would be well advised to include jambu bij as well as karela as part of their daily supplement intake.